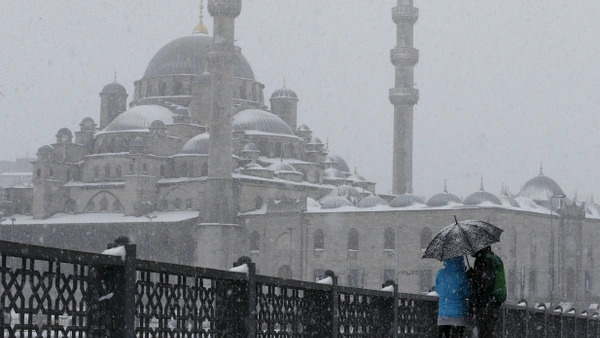 Tourists stroll on the snow-covered Galata bridge in Istanbul, Turkey (Osman Orsal/Reuters). Orhan Pamuk’s 2002 novel, Snow, translated by Maureen Freely. The literary compendium edited and translated by Ibtihal Mahmood and Alexander Haddad, Snow in Amman: An Anthology of Short Stories from Jordan. And one for the kids: Deborah Da Costa’s Snow in Jerusalem, with illustrations by Cornelius Van Wright and Ying-Hwa Hu—a Madelyn and Mia Cook favorite. Weekend Reading: Sunnis Fighting With Shias, Agatha Christie in Arabic Literature, and Who is Ali Abd al-Aal?